← Double your Pleasure with Double Knitting Fun! Normally I do not pre-post gifts, but this one was too cute.. and since the giftee is too young to even read so… I’m going to post it anyway! 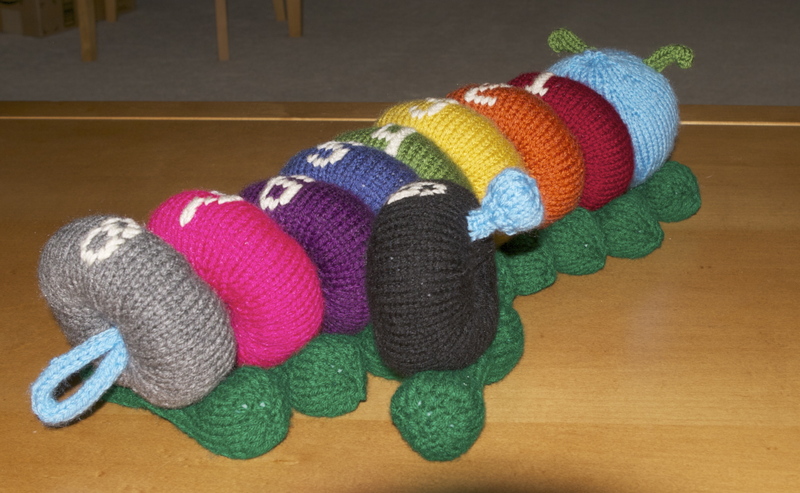 So without further ado… the Counterpillar! 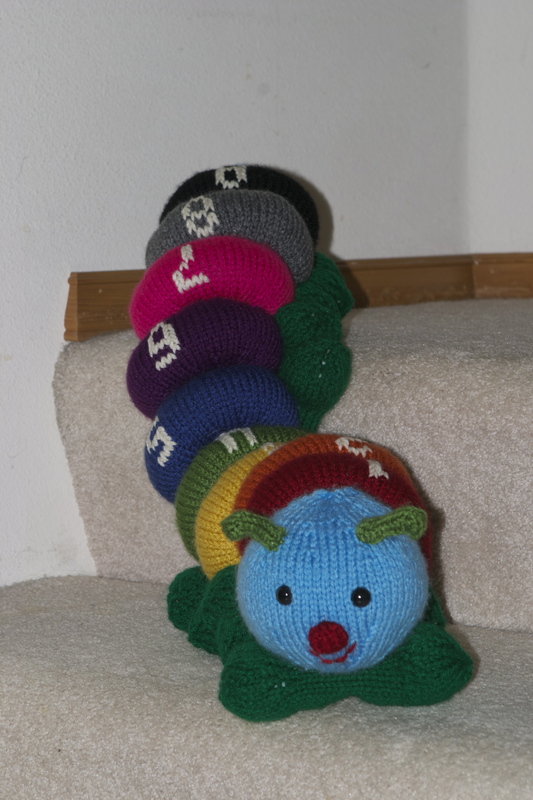 I found this very adorable pattern of a string along toy, that includes some colors and numbers and thought that it would be a great gift. 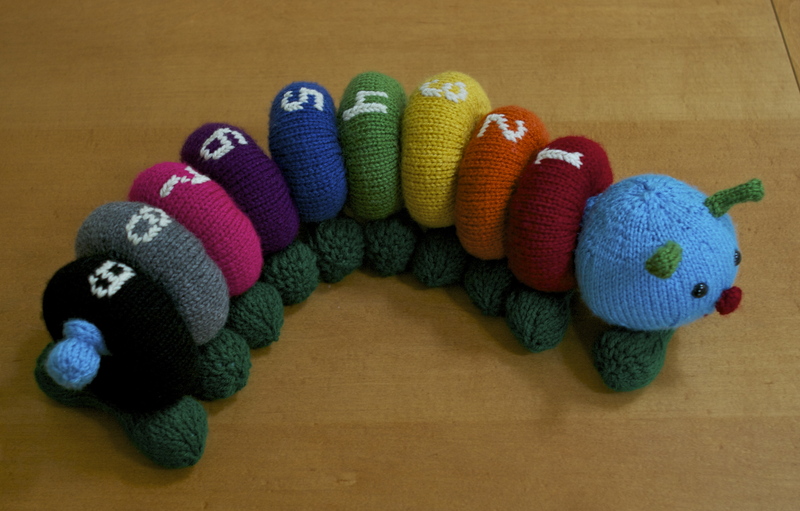 The original includes beads for each of the numbers, some pom-poms and a picture hook to loop the tail. I was making mine for a very young child, so I omitted those elements and added a soft knob tail for the loop instead. Work 5 rows as an I-Cord. Stuff the ball end of the tail, and then use your needle to thread through the remaining 5 stitches to close. Stitch your I-cord end onto the last segment. You may need to adjust your cord loop length a bit to ensure it fits over the knob tail, but it seems to work alright! I’m counting on you Mr. Counterpillar!